Ghost Tequila is not your average tequila. According to its CEO and Founder Chris Moran, it’s creating a movement within an already incredibly popular beverage category with its unique flavor profile that’s turned non-tequila drinkers into fans. Read on to learn more about Ghost Tequila and the people responsible for bringing the brand to life. ForceBrands: What inspired you to create Ghost Tequila? Chris Moran: I started bartending at one of the first true tequila bars in Boston in 2011. 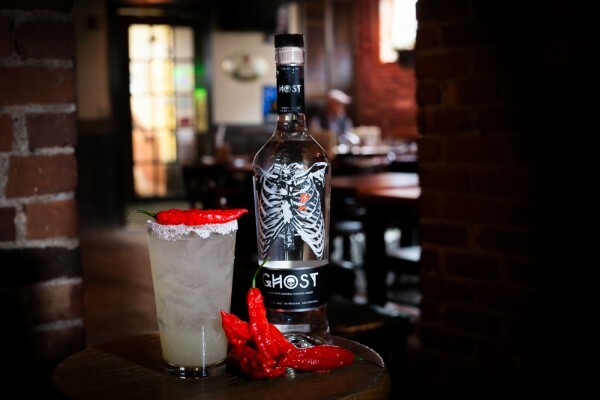 We had over 100 tequilas behind me on the wall and no one was ready to drink them, so I designed a shot incorporating ghost peppers that started gaining serious popularity, and kind of became a reason for people to visit the bar. After seeing that response, I knew I was on to something, and that’s how the idea behind Ghost got started. I met my future business partner David Gordon who knew the industry from operating a retail chain in Massachusetts, and the rest was history. FB: Tequila and mezcal are on fire right now (especially with celebrities like George Clooney getting behind his own premium brand). What sets Ghost Tequila apart from competitors? CM: First, it’s great to see the category growing — people are gaining a deeper respect for and knowledge about the category, from how it’s made to how versatile tequila can be. 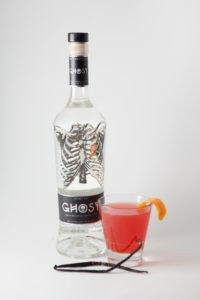 When we started Ghost, we recognized that the category was in a sense being pulled in two different directions, especially in how it was being marketed to consumers: on one end, the super-premium, highly aspirational tequilas touting a luxury lifestyle. On the other, brands focusing on the craft, back-to-the-roots process of creating tequila. We wanted to play away from those poles in a way that felt true to our story and meaningfully different from the category. The obvious thing that sets us apart from our competitors is our taste. Infusing premium quality tequila with a hint of ghost pepper elevates the normal tequila drinking experience. That combined with an affordable retail price seems to be gaining attention. Not only does the distinct flavor profile lend itself perfectly to shots and traditional spicy tequila cocktails, but it somehow allows our tequila to play in cocktails it shouldn’t have any business in (an Old Fashioned, for instance). For the average consumer, this means being able to create truly unique cocktails at home without the need of your local mixologist. For bartenders, it means being able to consistently craft well balanced, spicy cocktails and with a fraction of the effort it would normally take (like when muddling peppers). FB: Who is your target audience and how are you targeting them? CM: We have several different target audiences we direct our marketing efforts to. The first is general tequila lovers — it’s an obvious one considering there isn’t a product like ours on shelves and we want to be the No. 1 go-to brand for a tequila lover in the mood for a spicy margarita, spicy Paloma, Bloody Maria, etc. But we also market toward non-tequila drinkers as well. 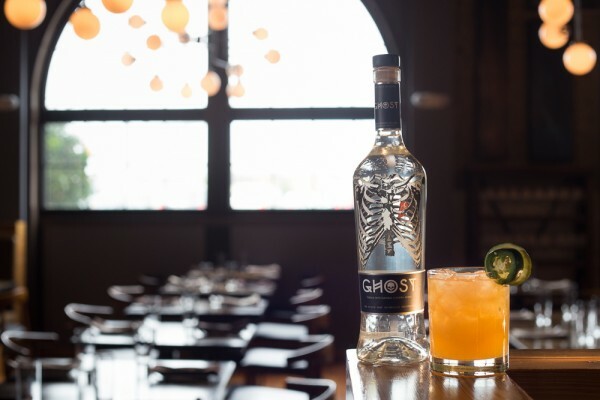 We’ve heard time and time again from consumers trying our tequila that they “don’t drink tequila, but they will drink Ghost.” That’s incredibly exciting to hear. If you think about most people that stay away from tequila, it’s due to some incident they had years ago where they drank too much of a bad tequila (i.e., mixto) and even the smell of it will trigger that bad experience. Like super-premium tequilas, we can offer these consumers a chance to come back into the category by trying something of quality — but what we can do differently is offer that at a fraction of the price and with a little something extra they can’t find anywhere else. More specific audiences include millennials aged 25-34, affinity groups like those into fitness or “foodies,” and of course industry people. This last audience means a lot to us considering we were born in a bar and not a boardroom. As a company, our motto is to work with an industry-first mentality in that we are here to delight our guests, create relationships and show them something truly new and unique. FB: Here at ForceBrands, we build the teams that build the brands. Tell us a bit about the team at Ghost Tequila. How big is it and how would you describe the company’s culture? CM: We have about twenty people on payroll not including freelancers who help us with marketing and PR. As a company, we like to say, “Check your ego at the door.” We understand that we’re a small brand with large aspirations, and we’re going to need to fight tooth-and-nail to become as successful as we plan to be. This sort of mentality also reminds us to ask for help when we need it, whether that be sales, coordinating with marketing every day, or having our corporate team reach out to advisors to help us become smarter in how we approach business. FB: What are the most important qualities that you look for in new hires? CM: First is the ability to demonstrate subject matter expertise and results in their field. Too often on résumés, you see lists of responsibilities, but you don’t always see how someone performed in their role. Second would be buy-in to our story, our strategy and our goals. Third would be that mentality I mentioned earlier about working as part of a team and appreciating that only by grinding each and every day will we make this company successful. FB: Where do you see Ghost Tequila in the next 5-10 years? CM: If we launch and grow this company correctly, in the next five years (if not sooner), the next time you walk into a bar and ask for a margarita, the bartender will ask you if you want it classic or Ghost. If we’re synonymous with spicy, we’ve done our job. FB: And lastly, just for fun, what’s the best way to enjoy Ghost Tequila? CM: It depends, really. Friday night, margaritas. Saturday night, mules. Sunday afternoon, Bloody Marias. Oh, and shots work particularly well for any day that ends in “y”. Interested in a career at Ghost Tequila? Search our BevForce job board.